Space has held a dominant position in the mythos of science fiction for many years, even though much written SF doesn't take place in outer space or even in any setting more exotic than Earth. Popular conceptions of SF often start (and sometimes unfortunately end) with Star War 's "galaxy far, far away" and Star Trek 's "Space: the final frontier." Ironically, since the start of the 21st century—at least in literature, my focus here—science fiction's frontiers have been moving rapidly away from the Star Trek future of humans in spaceships exploring the unknown and meeting aliens there. Instead of featuring space as a thing we will conquer, it looks to space (not inner space or virtual space but outer space, the place that starts 100km above the surface of the Earth or other planets) as a setting that we must adapt to and that changes what it means to be human in the process. Space has long been looked at as an unrelentingly hostile environment, one that can kill any unwary human. 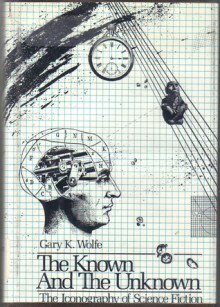 In his seminal work The Known and the Unknown (1979), Gary K. Wolfe set up a dialectic between Space (dark, silent, cold, deprived, ignorance, chaos, isolated, natural) and the Spaceship (light, sound, warmth, nourishing, knowledge, order, community, civilization) (p. 60). That Inside/Outside binary has not been particularly challenged in the intervening years, though in the Cambridge Companion to Science Fiction (2003), Gwyneth Jones's section on rockets and spaceships in her "Icons of Science Fiction" chapter describes space as a "vast, inimical ocean" with the spaceship in contrast as "a place of refuge, security, stability" (p 165). In the Routledge Concise History of Science Fiction , James Kneale's chapter on "Space," which starts from an examination of shifts in academic geographical studies, reiterates that Space is defined by boundaries, either ones suggested by nature or those imposed by human imagination. As such it makes sense that we define space both as I did above, at the arbitrary but physical point where the atmosphere thins out toward unsurvivable vacuum, and as Wolfe and Jones do at the skin of a spaceship. Stanislaw Lem pointed out in 1987, "We don't want to conquer the cosmos, we simply want to extend the boundaries of the Earth to the frontiers of the cosmos" (quoted in Kneale). Lem points out that our most common technique for describing alien planets has been to make analogies between them and places on Earth—a vast Sahara or an Amazonian jungle, understanding other worlds on our terms rather than their own. However, I will argue that in recent years instead of extending the boundaries of Earth outward, science fiction is depicting an effort to erase the boundaries between ourselves and space altogether. SF has been slowly coming to grips with the fact that human space exploration is not following the trajectory many had expected. What we wanted after the Moon landings was Moon colonies. Then Mars landings and Mars colonies, then out to the outer solar system and eventually out into interstellar space, via some kind of FTL drive or generation starships. Instead, as things have unfolded since NASA's founding in 1958, almost every rung on that ladder to the stars has been either weakened or broken. After the last Moon landing in 1972, humanity has never returned. Despite some political promises of the early 1990s, Mars remains a distant dream for all but some very well-engineered robots. There's been notable success with an Earth-orbiting space station, as the International Space Station (ISS) now supports six astronauts year round, but they get regular re-supply missions from the ground—and even those have had some worrying recent failures. And as the hit movie Gravity (2013) reminds us, even Low Earth Orbit can be lethal once the shrapnel starts flying. One interesting note is that both the Science Fiction Encyclopedia entry on "Spaceships" and Jones's discussion of rockets note that "These days, planetary launches are rare in spacefaring SF; the whole struggle to leave Earth has usually been elided into the distant or recent past" (Jones, p. 164) and "we have now become so blasé about the spectacle of Saturn rockets blasting off from Cape Canaveral and space shuttles gliding down to land at Edwards Air Force Base that modern SF rarely bothers with matters of construction or with maiden voyages" (SFE). But of course, the one thing that's been proven over recent years is just how hard getting off this rock in any meaningful way is, and how non-blasé any flight taking humans farther than LEO will be. It's interesting that nuts-and-bolts fiction about any realistic new path to the stars is rare, with the recent Hieroglyph (2014) anthology being a notable exception. The recent ISS re-supply missions hint at a larger failure, the failure to launch a self-sustaining biosphere that could make it to Mars or beyond. Given the widely publicized meltdown of the Biosphere 2 experiments here on Earth, there is little confidence in our ability to engineer habitats that are self-sustaining, whether those be Moon/Mars colonies, asteroid space stations, or generation starships. Arguably the most popular, optimistic piece of recent near-future solar system fiction, Andy Weir's The Martian (2014), is all about the spectacular failure of an Apollo-style Mars mission (not even a colonization effort) and the determined efforts of Mars to kill the intrepid hero. So generation starships seem out of reach, and haven't been seen much in SF in the last twenty years, except for Ken MacLeod's Learning the World (2005), which does its part to examine and deconstruct the trope, and a few others, including Molly Gloss's The Dazzle of the Day (1997). And of course FTL has been a lost cause for a long while, either limiting expansion or being ignored in favor of various flavors of science fantasy. The gradual closure of all these avenues for escaping Earth looks even more depressing given science fiction's turn to Climate Change as the new near-future apocalypse facing the planet, replacing nuclear armageddon, plagues, and alien invasion—although with greater likelihood of actually occurring than those other scenarios turned out to have. In short, it looks like we can't leave the planet, and if we stay here we're gonna fry. So what's a genre to do? Well, maybe humans aren't going into outer space. But posthumans are going to get out there and they're going to have a lot of fun, especially with their accompanying post-capitalist, post-scarcity economics. The late 1990s might be identified as a turning point, where SF started to move away from humans leaving Earth and bringing our environment with us (NASA-style space exploration, as in Ben Bova's Mars ) or changing the environment to suit us (see the terraforming debates in Kim Stanley Robinson's classic Mars Trilogy, [1992-1996]), toward a future where only radically altered humans move out into the galaxy (as in Charles Stross's Accelerando sequence (2001-2004)). The options available to our posthuman selves represent truly Infinite Diversity in Infinite Combinations, as can be seen not only in Charles Stross's science fiction but in Greg Egan's Amalgam stories, including Diaspora (1997), Schild's Ladder (2002), and Incandescence (2008); Kim Stanley Robinson's recent 2312 (2012); Paul McAuley's The Quiet War (2008); and Justina Robson's Natural History (2003), among many, many others. Even the characters in far-flung space operas are often more than simply human, as in Ann Leckie's Imperial Radch (2013-2015) series. In none of these books are the characters unaltered humans as we understand the term today (although it is important to acknowledge that the boundaries between "human" and "posthuman" will be blurry and likely politicized when we start to make that move for real), and in none of them is the economic engine of exploration the sort of neoliberal late capitalism that dominates the current global landscape. Obviously post-scarcity posthumanity is not a new thing invented by 21st-century science fiction. It has deep and broad antecedents, and it's important to note that almost everything discussed here was done by the late Iain M. Banks starting in the 1980s, although the Culture novels are far distant visions, not near-future solar system fiction. But it's interesting to look at other antecedents for contrast. Going back to Doc Smith, the crew of the Skylark of Space (1928) were everyday humans, normal to the point of banality. Even the Lensmen of Triplanetary (1934) are humans, albeit ones bred to be special, who need the Lens to access any superhuman powers. Jumping ahead to Cordwainer Smith's debut short story, "Scanners Live in Vain" (1950), we see people who have undergone extensive modifications in order to survive the intense hostility of the space environment. But the Scanners are presented as almost non-human instead of posthuman, as something monstrous, and the moment an alternative is found they (mostly) opt to return to the human baseline. that almost every "human" speaking character in Old Man's War is green. Compare the super-soldiers of Scalzi's world with the child soldiers of Ender's Game (1985) (an inversion on so many, many levels) to see how much our conception of "human" has altered in the intervening time. The soldiers in Ender's Game are simply picked as the best and the brightest to fight with extensive technological mediation, not modified to be something other than baseline human. Given that we almost never encounter aliens within the bounds of the solar system in today's science fiction (unlike the alien invasions of Niven and Pournelle's Footfall (1985) or Ender's Game itself), the wide variety of changes available to these post-humans means that different kinds of humans can play the role of "alien" adversary quite nicely—see Paul McAuley's The Quiet War sequence. The conceptions of posthumanity popular in space-based science fiction today would not have been possible without the Cyberpunk movement of the 1980s. That movement, coupled with the fact that the real world went through an Information Revolution instead of a Space Revolution, drastically changed the popular view of humanity's relationship to and basis in information. While there had previously been teleporters that beamed people's information across space à la Star Trek , those had been specifically concerned with preserving the integrity of the human mind and body subjected to such treatment—as seen by the number of episodes of the show and its spin-offs where transporters went wrong in various creative ways. What changed between then and now (amongst other things) is the idea that humans can be characterized by information—and that information can be edited. Whether we're changing our genetic code to make us more radiation tolerant or storing and editing our memories, science fiction now portrays a version of humanity where changing ourselves seems trivial compared to conquering space and making it accept us as we are. Fundamentally, space has gone from being a thing we will conquer in our standard human bodies (something we've spectacularly failed to do), to a setting we must adapt to. Of course, in a lot of SF space is still simply an obstacle to be overcome, a vast distance to cross. One favorite way of handling this is to convert a character to information and beam that information at light speed across space to be reinstantiated on the other side. This technology underpins Greg Egan's Amalgam universe, where humans and various kinds of aliens are comfortable using this technology. In that world people can choose to reinstantiate in any body that happens to be practical and handy, or just skip it and act as disembodied computer entities instead. This method of travel is also seen in Carolyn Ives Gilman's Twenty Planets setting (most recently in Dark Orbits ), although in that case the characters always wake up in bodies identical to the ones they left. In this type of universe, robotic exploration vehicles spread out at slower than light speeds, and when they find something interesting they send out a call and get ready to receive inhabitants beamed over at light speed. The dislocation of being effectively suspended for the duration of a light-speed trip has the potential for drama, and both Egan and Gilman touch on this consequence on their way to telling other stories. It's interesting to note that it is the robots who do the initial exploring in this scenario, paving the way for later human explorers by getting through all the boring bits, in much the same way that we can optimistically imagine the plucky NASA Mars rovers laying the groundwork for eventual "boots on Mars" missions. Once humans are converted to information and beamed across the universe, the "boundary" between the self and the universe is almost completely erased. At that point we leave materiality behind and exist solely as light—an electromagnetic field. If you take contemporary physics and look at how the universe is composed entirely of fields that give rise to forces (the current fundamental forces being categorized as electromagnetic, gravitational, strong nuclear, and weak nuclear) then the division between us-as-information and the cosmos effectively disappears. This approach trends toward the most materialistic view of our place in the universe, in which scientists and some philosophers note that humans are not held apart from the universe but are part of it in the same way rocks and stars are. But this transformation of a human being to information carried by light highlights that unity rather dramatically, breaking down the dialectic noted by Wolfe and others. There has been a significant debate in academic circles over the relationship between humanity and information. 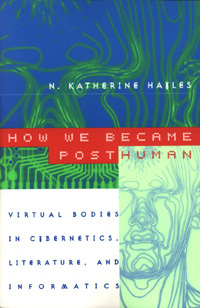 N. Katherine Hayles staked a strong position in How We Became Posthuman: Virtual Bodies in Cybernetics, Literature, and Informatics (1999), in which she argued that given the history of how we define information and the fact that humans receive information dramatically differently given its context, we should be incredibly hesitant to take the position that science fiction has enthusiastically embraced—that humans can be reduced to their informational content and either beamed across space or instantiated in virtual environments. There has been pushback against this position from authors such as Greg Egan and academics such as D. Harlan Wilson in Technologized Desire: Selfhood & the Body in Postcapitalist Science Fiction (2009) and Anthony Miccoli in Posthuman Suffering and the Technological Embrace (2010). They argue that humanity is inextricably linked to technology, whether it be drawing and writing or guns and spaceships, and that technologically mediated posthumanity is not an Other to be feared but a natural progression of human culture. This shuttling back and forth between true believers such as Marvin Minsky ( The Society of Mind , ) and critics such as Hayles will likely continue until humanity has either uploaded itself or died out—and perhaps even beyond. As these posthumans explore space in various ways, notice the current lack of faith in terraforming. 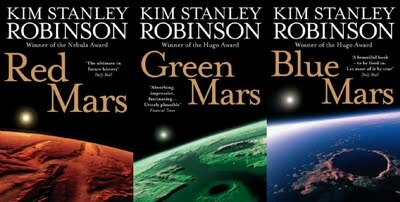 Kim Stanley Robinson's Mars trilogy seems to stand as the last word in traditional solar system terraforming for the foreseeable future; while Venus is undergoing the process in 2312 the inhabitants there are still living in traditional habitats and watching comets rain down. It's odd, because the accelerating pace of climate change that we are actually living through (as dramatized in Kim Stanley Robinson's Capitol Code trilogy ([2004-2007])—really it seems like one could write this entire essay using only examples chosen from Kim Stanley Robinson's oeuvre) demonstrates conclusively that the one thing humans are 100% capable of doing is changing an environment on a planetary scale. Another interesting change is the idea that present-day capitalist economic structures won't necessarily get us out into space, and may be obsolete once we get there. In the world we face today, government-funded space exploration has basically stalled out, with several ambitious NASA proposals languishing in underfunded limbo while international competitors are (so far) following the same "satellites + robotic exploration" trajectory that NASA took, as seen with China's successful lunar lander and India's excellent Mars mission. No one seems to be moving toward serious colonization efforts (and when I say "no one," I'm including that ridiculous Mars One reality-TV show boondoggle). The most ambitious and successful organization currently operating is Elon Musk's SpaceX, which has as its stated goal getting humans off the planet and onto Mars in a permanent and sustainable way. Obviously influenced by science fiction (going so far as to name some of their rockets after Iain M. Banks's Culture ships), Musk seems to be following Heinlein's Man Who Sold the Moon (1950) model: an eccentric billionaire sinking large amounts of his own money into the venture as well as treating it as a capitalist business. SpaceX probably would not be where it is now without providing rocket launches to customers such as NASA and more recently the United States Air Force (they were recently certified to start launching US national security–related assets). Among real-world futurists, there are those that argue that in the near future, scarcity is the one thing that might finally jump-start space exploration, and that it will proceed along capitalistic conquer-and-exploit paths. No matter what one thinks about the consequences of mineral exploration on Earth, the fact is that mineral resources (be they gold, platinum, oil, or some of the more esoteric heavy metals needed for computer chip manufacture) are being removed from the ground and not replaced. The cost to extract these resources is trending upward at different rates. Fairly straightforward extrapolation suggests that at a certain point in the future, likely within the next few centuries, it will simply be cheaper to try to extract some of these resources from space-based environments than to try to get any more out of the ground, although the point at which the math works out varies dramatically with the efficiency of future recycling efforts. This doesn't work with oil, which is based on the decay of organic material, but it might make sense with a number of minerals which could be found in asteroids or on moons. At that point, there would be similar incentives to begin exploring and exploiting the solar system that powered the European colonization of the New World—land and resources were so expensive in Europe that the cost of traveling to get them from the New World, and out from under the people already living there, was trivial in comparison. Many today believe that if humanity is going to get out into space, realistically the capitalist drive to exploit resources is the only thing that's going to get us there. But that seems inimical to the tendency of today's science fiction. Charles Stross's Accelerando sequence was one of the first to show a truly post-scarcity economic system leaving Earth and dominating the solar system—and eventually running into much more complicated economic systems in interstellar space. It also included the information-based posthuman characters that this essay takes as the new standard-bearers of our species in space. The posthuman beings strip the solar system for resources, eventually dismantling and reconstituting almost all matter in the system to form a gigantic super-intelligent Matrioshka brain (killing large swaths of humanity in the process). Hannu Rajaniemi's Quantum Thief series (2010-2014), which also takes place throughout the solar system, has the posthuman characters plot and connive against one another in a system where time is a currency more important than anything material. In the critical anthology Red Planets: Marxism and Science Fiction (2009), there are a number of essays that take a variety of positions opposed to late capitalism. In theory, if you have enough energy you can make anything else that you need. With enough energy you can get off a planet easily. You don't have to rely on our currently very limited rockets to lift mass out of the gravity well, but can undertake large-scale infrastructure projects like space elevators. If you run out of land, you can create farms inside asteroids. With enough energy, having enough oxygen and water in space isn't a problem: simply break up any nearby rocks and use energy to liberate O2 and more energy to combine H and O to make water—and, along with carbon from the rocks, just about anything else you need. With enough energy, radiation shielding (currently one of the major stumbling blocks for a realistic Mars mission profile) likewise isn't a problem because you'll have enough power to shove large masses of stuff (the best radiation shielding is something like lead) around the solar system. In fact, if you have enough energy to accelerate continuously at one g, Mars is only a day or two away, instead of the more generally accepted nine months out, nine months back mission profile NASA is planning for an Earth/Mars close approach. In Kim Stanley Robinson's 2312 , the future economics allow for a number of space elevators to shuttle people and goods between Earth and its near orbit, opening up the rest of the solar system from there. The economics of the entire solar system are coordinated via various computer systems, and the plot unfolds around a threat to that system. Energy seems abundant as the characters shuttle around the solar system in asteroid-based habitats, landing on colonies in environments as diverse as a moving city on Mercury or more traditional bubble habitats on Saturn's moons. The characters have any number of modifications appropriate to their home habitats; some are much smaller than an average human, others ingest alien organic substances, some have metabolisms sped up or slowed down, and there are any number of neurochemical hacks available to literally change minds. The way that the energy problem is solved is rarely 100% satisfactorily explained; it appears that there's a lot of hand-waving to do between now and then. All this points to a fascinating recent field of study, the "Energy Humanities," that examines texts in light of modern-day petroculture and whatever might replace it. The intersection between this field and science fiction is treated in detail in the 2014 Pioneer Award-winning essay "Improbability Drives: the Energy of SF" by Graeme MacDonald in Paradoxa 26. MacDonald points out that "SF is the genre best placed to advance our understanding not only of present and future energy crises but also the manner in which we (fail to) envisage and conceive energy as a matter for culture" (p. 111). Although its main examples are somewhat eccentrically chosen (the opening scene of the original Star Wars , M. John Harrison's The Centauri Device , and H. P. Lovecraft's At the Mountains of Madness ) it points the way toward a fascinating theme of examining how our visions of the future are powered, and how our choice of power shapes our vision of the future, from space operas that take their power sources for granted (which, given our cultural default, MacDonald argues assumes the primacy of oil well into the future) to eco-catastrophe apocalypses. It's important to note the limitations of the picture I'm painting here. Given the broad and heterogenous nature of the science fiction field today, any analysis such as this necessarily cherry-picks examples to shape a story, and numerous counter-examples exist. At the very least, one can point to Joan Slonczewski's The Highest Frontier (2011) and M. J. Locke's Up Against It (2011), which are both stories of solar system colonization (space stations reached by space elevator in Slonczewski's case and asteroid habitats in Locke's) that do not involve post-scarcity economics or radically altered humanity. Jack McDevitt's far-future explorers Alex Benedict and Priscilla Hutchins are not particularly posthuman (although those series started in the early 1990s, they continue to produce popular new volumes in recent years). Allen Steele's Coyote settlers reach a new planet via generation starship and proceed to reenact various aspects of American political history without changing themselves, all since 2003. And probably every single word in this essay, including "and" and "the" could be contradicted by short story examples, which I chose not to discuss because there's no way to get one's arms around that flourishing part of the field. 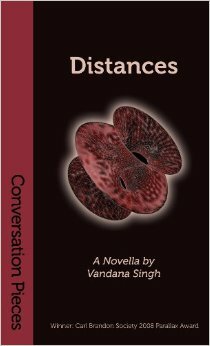 For instance, an entirely separate essay could be written about the mathematical concept of space in science fiction such as Vandana Singh's brilliant novella Distances (2008), although the story itself is entirely planet-bound. Still, as SF moves out into the solar system and modifies humanity instead of meeting aliens, and proceeds via post-scarcity economics rather than neoliberal capitalism, it seems to be neatly sidestepping some concerns about future exploration replicating the colonial abuses of the past. By modifying ourselves to adapt to space instead of boldly going in our current form, SF is imagining exploration based on a more integrationist model than a conquest model. There are few indigenous people in this environment (although in many of these stories there are at least microscopic alien lifeforms that need to be considered) so we can theoretically remake ourselves into the new native population. And moving away from capitalist economics suggests a more constructive than exploitive path of exploration. There's every reason to be suspicious that the abuses of the past could be avoided so easily, but the potential for the growing awareness of post-colonialism to inject some humility into the imagined futures of space exploration is hopeful. One downside is that this future requires so many steps between here and there that are hand-waving at best, downright impossible at worst. Perhaps the reaction to the rather bleak current forecast for space travel is just a series of hyperkinetic wish-fulfillment fantasies wrapped in the mantle of hard SF. Whether the space-based SF of the early 21st century turns out to be a prescient path forward or just as much wishful thinking as the Golden Age of science fiction remains to be seen. Banks, I. M. 1987. Consider Phlebas . London: Macmillan UK. Bould, M., C. Mieville (eds.). 2009. Red Planets: Marxism and Science Fiction . St. Louis: Wesleyan University Press. Bova, B. 1992. Mars . New York: Bantam Spectra. Card, O. S. 1985. Ender's Game . New York: Tor. Cramer, K., E. Finn, (eds.). 2014. 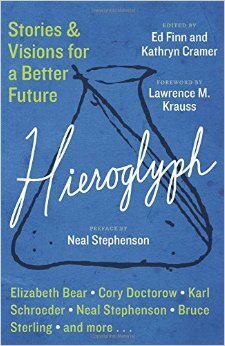 Hieroglyph: Stories and Visions for a Better Future . New York: William Morrow. Egan, G. 1997. Diaspora . New York: Orion. Egan, G. 2002. Schild's Ladder . New York: Orion. Egan, G. 2008. Incandescence . New York: Orion. Gilman, C. I. 2015. Dark Orbits . New York: Tor. Gloss, M. 1997. The Dazzle of the Day . New York: Tor. Hayles, N. K. 1999. How We Became Posthuman: Virtual Bodies in Cybernetics, Literature, and Informatics . Chicago: University of Chicago Press. Harrison, M. J. 1974. The Centauri Device . New York: Doubleday. Heinlein, R. A. 1951. The Man Who Sold the Moon . New York: Signet. Leckie, A. 2013. Ancillary Justice . New York: Orbit. Leckie, A. 2014. Ancillary Sword . New York: Orbit. Locke, M. J. 2011. Up Against It . New York: Tor. Lovecraft, H. P. Feb 1936. At the Mountains of Madness . New York: Astounding Stories. MacDonald, G. 2014. "Improbability Drives: the Energy of SF." New York: Paradoxa #26. MacLeod, K. 2005. Learning the World . New York: Tor. McAuley, P. 2008. The Quiet War . London: Gollancz. McDevitt, J. 2001. Deepsix . New York: Eos/HarperCollins. McDevitt, J. 2010. Echo . New York: Ace Books. Mendlesohn, F., E. James (eds.). 2003. The Cambridge Companion to Science Fiction . Cambridge: Cambridge University Press. Miccoli, A. 2010. Posthuman Suffering and the Technological Embrace . Boston: Lexington Press. Minsky, M. 1998. The Society of Mind . New York: Touchstone/Simon & Schuster. Niven, L., J. Pournelle. 1985. Footfall . New York: Del Rey/Ballantine. Rajaniemi, H. 2010. The Quantum Thief . London: Gollancz. Robinson, K.S. 1992. Red Mars . New York: Bantam Spectra. Robinson, K. S. 1993. Green Mars . New York: Bantam Spectra. Robinson, K. S. 1996. Blue Mars . New York: Bantam Spectra. Robinson, K. S. 2004. Forty Signs of Rain . New York: Bantam Spectra. Robinson, K. S. 2005. Fifty Degrees Below . New York: Bantam Spectra. Robinson, K. S. 2007. Sixty Days and Counting . New York: Bantam Spectra. Robinson, K. S. 2012. 2312 . New York: Orbit. Robson, J. 2003. Natural History . London: Macmillan UK. Scalzi, J. 2005. Old Man's War . New York: Tor. Scalzi, J. 2006. The Ghost Brigades . New York: Tor. Slonczewski, J. 2011. The Highest Frontier . New York: Tor. Smith, C. Jan 1950. "Scanners Live in Vain." Fantasy Book . Smith, E. E. Aug 1928. Skylark of Space . New York: Amazing Stories . Smith, E. E. Jan 1934. Triplanetary . New York: Amazing Stories . "Spaceships." Encyclopedia of Science Fiction. April 2, 2015. Steel, A. 2002. Coyote . New York: Ace Books. Stross, C. 2005. Accelerando . New York: Ace. Vint, S., M. Bould (eds.). 2010. The Routledge Concise History of Science Fiction . London: Routledge. Weir, A. 2014. The Martian . New York: Crown. Wilson, D. H. 2009. Technologized Desire: Selfhood and the Body in Postcapitalist Science Fiction . San Francisco: Guide Dog Books. Wolfe, G. K. 1979. The Known and the Unknown: The Iconography of Science Fiction . Kent, Ohio: Kent State University Press.